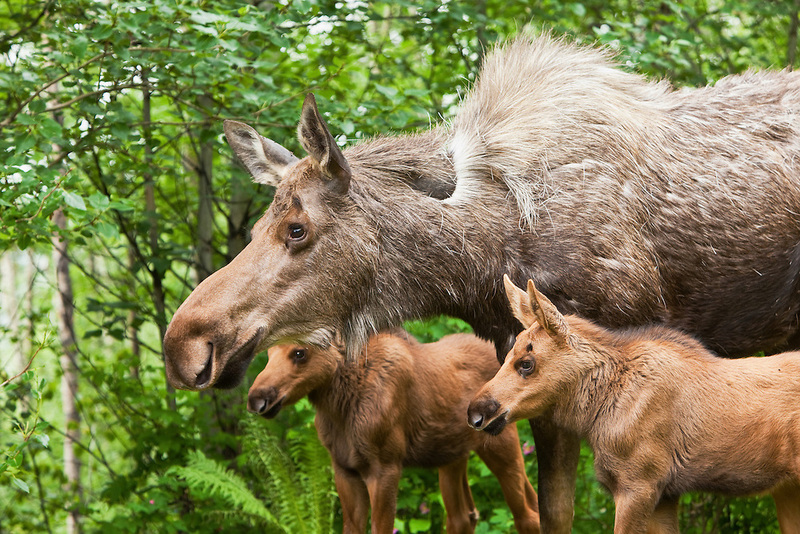 Less than a month old, two newborn moose calves keep watchful eyes on an intruder moose in a residential backyard in Eagle River in Southcentral Alaska. Spring. Morning.